The city of Pella, IA, with a population of around 10,500 people, is part of Marion County and was founded by 800 Dutch immigrants in 1847. It is home to Central College, as well as several manufacturing companies such as Pella Corporation and Vermeer Manufacturing Company. Pella is also known for its various local festivities and famous historical structures. The Vermeer Mill, being one of them, is the tallest working windmill in the USA. Residents of Pella, IA celebrate their Dutch heritage annually with the Tulip Time Festival. Cold Storage: Cold Storage Units by Greiner Buildings are made to last. We design them to be extremely durable, low maintenance, and attractive at the same time. Cattle Sheds: All of our cattle sheds are designed to fit your cattle needs because we know how important they are to your business and livelihood. We know exactly what it takes for a building to keep your cattle comfortable, safe, and dry throughout the year. We install proper installation and lay out the building to be easily accessible for them. Commercial: We offer 2D and 3D CAD designs as well as many stylish and inexpensive options. Horse Barns: Do you need a riding area, stable, or horse barn? Greiner Buildings specializes in designing custom equestrian buildings for Pella, IA residents. We can build haylofts, install quality insulation, and even build custom stalls for your horses. Hobby Shop Buildings: Let us help your hobby or business flourish with a new custom made hobby shop for your property. Whatever your dreams are, we can make them a reality with our custom building team. Insulated Shops: All of our shops are professionally lined and insulated because we want to keep you and your equipment safe and dry through the harsh Iowa winters. An insulated shop is a fantastic investment for farmers or business owners. Machine Sheds: We can custom design machine sheds of any shape or size for all of your vehicles and equipment. Mini Storage: One of the most important assets to your business is a mini storage unit. 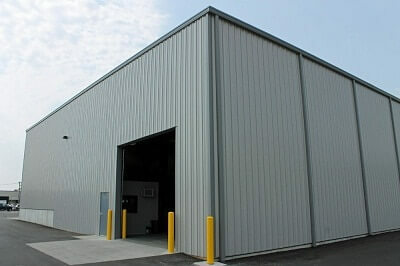 Greiner Buildings offers top quality mini storage buildings for all of your business and commercial needs. The buildings we construct are dependable and have unmatched security. Residential Homes: We built fantastic custom homes for residents of Pella, IA. Whatever you can dream up, we can make it happen. Our post frame custom homes are affordable, efficient, and beautiful! Let Greiner Buildings construct your dream home in Pella, IA. If you have any questions about post frame construction in Pella, IA, don’t hesitate to call Greiner Buildings today. We are your professional contractors in Pella, IA and the surrounding areas. We look forward to working with you!